I have been busy redesigning my bathroom in my head for some time now. I really want to swap out my old boat of jacuzi tub for a sleek, free-standing bathtub like the ones I keep seeing in the fancy hotels I stay at that make you want to grab a bath bomb and soak all day. There was a time when a freestanding soaker bathtub was only appreciated for its functional value. However, in the past two decades, the world of the bathroom has undergone a major transformation. From the dull looking conventional bathtub to the almost extravagant luxury bathroom designs, today there are bathtubs that come in a dazzling number of styles, sizes, colors, features, and materials. Choosing a stand alone soaking tub is not as easy as it once was. The possibilities are infinite ranging from whirlpools, soakers, classic claw-foot models, tubs with neck rest, or even walk-in tubs, and they come in every type of shape that is imaginable. However, all this extra variety also comes at additional costs; so it is important to consider why you want the tub and what is your budget. The home owner of today is not only looking for a tub where he or she can immerse themselves for 30 minutes after a hard day’s work but also to enhance the look of the bathroom. The tub has now become a major center for relaxation and eye appeal for the family bathroom all at once. The styles and designs of bathtubs available today are enormous and hence one needs to do some legwork before having one installed. There are bathtubs to match all budgets. The only things that may limit your choices of a soaker tub include the available space and the plumbing location. So how does one select a freestanding bathtub? There is ample information online on the types of bathtubs available and how they are installed. Once you decide on the style, you need to know the type of bathtub material you want. The majority of modern tubs available today come with many other options like a whirlpool jet, non-slip mats, grab bars, or other spa options. The most important deciding feature in selection of a tub is making sure that you have enough room in your bathroom. Buying a bathtub should never be an emergency- the more thought and effort you put into what you want, the more satisfied will you be with the end result. If you are considering renovating or remodeling your old tub, communicate with the professional installer so that all the fixtures and other accessories are in the proper position and convenient to use. Even minor variations in renovations can quickly become a nightmare not to mention additional costs in money and time. What you have to decide is whether you want a walk-in tub, a soaking bathtub, freestanding bathtub, a whirlpool or a deep tub. So Which Of The Freestanding Soaker Bathtubs Suit Your Style? You need to consider the location of the free-standing bathtub as this can save you a ton of money on plumbing and other fixtures. Once you know where you want the tub, this will dictate the type of tub you can have. Secondly, know your lifestyle before selecting a tub – when done with thought a bathtub is a proven investment, which will appreciate the value of your home. The latest trend is to have a deep soaker tub. Unlike the regular tub, this appliance allows you to completely immerse your body up to the neck whether you are sitting or lying. After a hard day’s work, many homeowners prefer this novelty. You may also have a corner tub, which is usually triangular in shape. Another option is the drop-in tub that is supported on all sides by frame. Usually these drop in tubs are installed on a platform and set below the floor levels. These tubs are made of lightweight material and comes with a variety of fixtures like molded seats. Another option is a free-standing bathtub, which sometimes is on a base or on its feet as a clawfoot tub. These tubs tend to be the focal point of a bathroom and often make a powerful design statement. 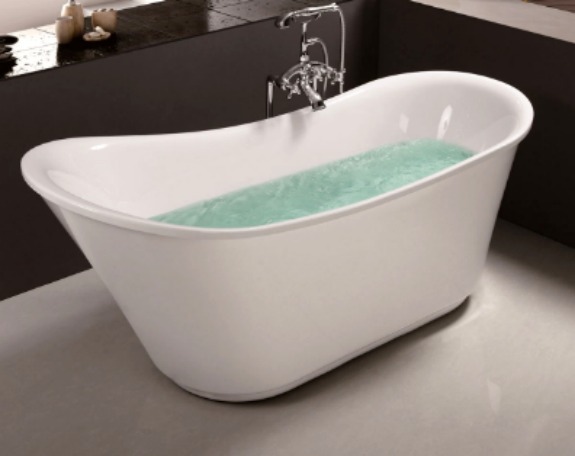 Bathtubs come are made from many materials like porcelain, metal, glass, acrylic, cast iron or even wood. For sheer elegance, it is hard to match copper. 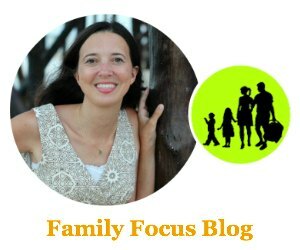 Remember you need to know the size as you may want to relax with a partner, but no so big that you don’t waste a ton of water filling it, and if you have children who will use the bathtub, consider your lower back as you will have to do a lot of bending. If you have seniors in your home, then look for tub that is safe with non-slip bottoms and grab rails. More important seniors prefer walk in bathtubs so that they so not have to high step inside them. Once you have browsed over the available bathtubs, the next thing is to speak to a professional installer and get an idea of the average price of installation. Finally no matter what free-standing bathtub you select, you need to sit inside it and feel it. See if the bathtub fits the curvature of your back and that your legs feel comfortable. In the end, selection of a suitable freestanding soaking tub is largely a personal choice that is also influenced by affordability. Are you in the market for a free-standing bathtub or are you in the planning stages like I am?